Hello, and welcome to the new Half Access website! 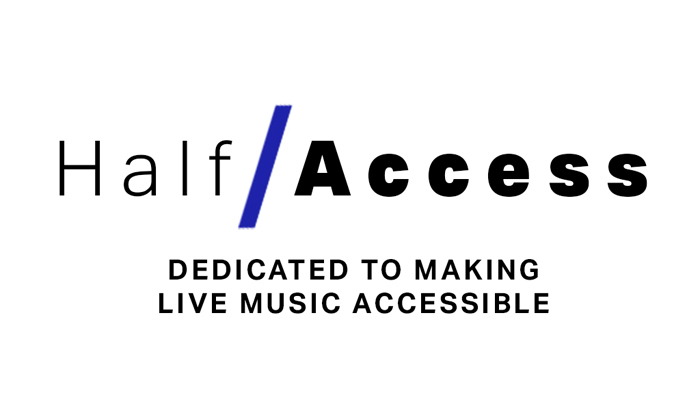 Half Access is a 501(c)(3) non-profit organization dedicated to making live music more accessible to people with disabilities. Our main project right now is to build a database of detailed accessibility information on as many music venues as possible in order to inform concert goers of available accommodations before they buy tickets to shows. We have also implemented a review system on the submission form as well as on each venue page which will allow for individual experiences to be submitted. This information will aid us in working with venues to assess accessibility concerns and how they can improve accessibility for disabled music fans. Many venues, particularly smaller, general admission venues, have flights of stairs and no other way inside, or they have access to get inside, but there’s no safe, accessible seating area with a clear view of the show. Other issues come in the form of inaccessible restrooms, intense lighting and strobes without warning, little-to-no accommodations for Deaf and Hard of Hearing guests, minimal staff training surrounding ableism, and more. 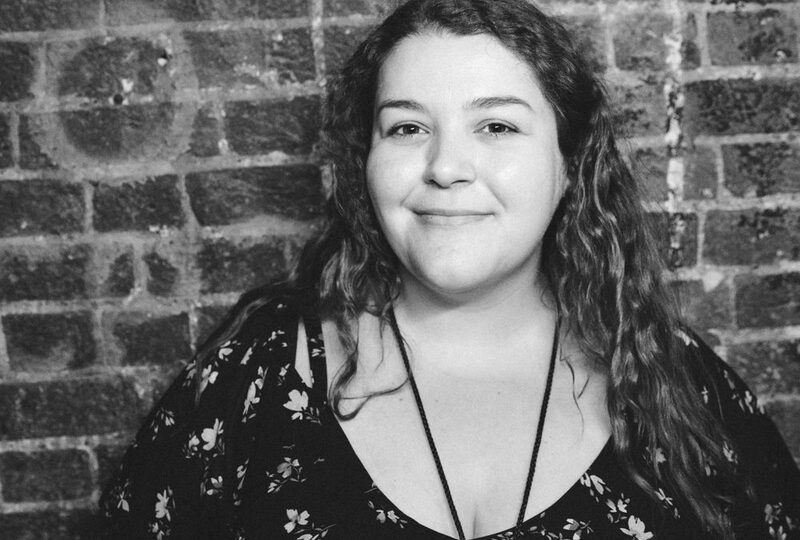 Half Access strives to change this by opening the conversation between the disabled community and venues while also educating allies (fans, artists, and other industry folks) in the music community. Accessibility affects everyone. You may not always be as able as you are today. You may currently have disabled friends or meet some in the future, and the realities of inaccessibility issues that continue to persist will quickly become apparent as you go places together. If you were to get hurt the week before your favorite artist came to town, you would notice these issues. If you were to develop a disability as you age, you would notice these issues. 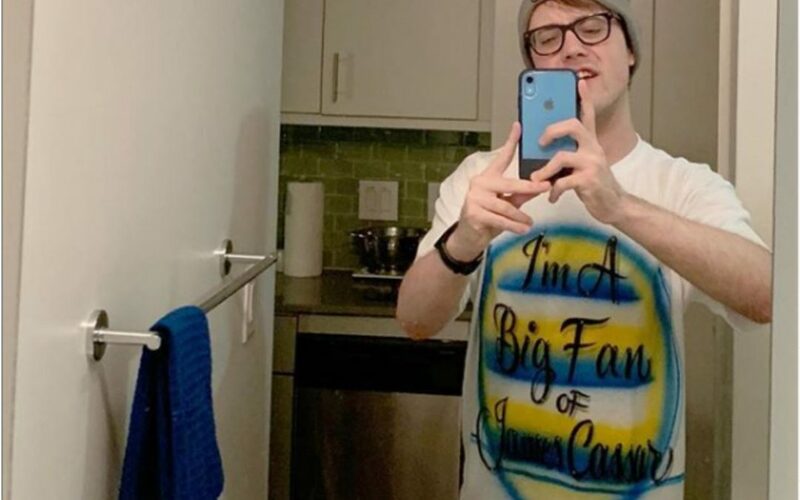 Currently, venues aren’t held to a high-enough standard when it comes to assuring that disabled concert goers have the same great experience as everyone else. 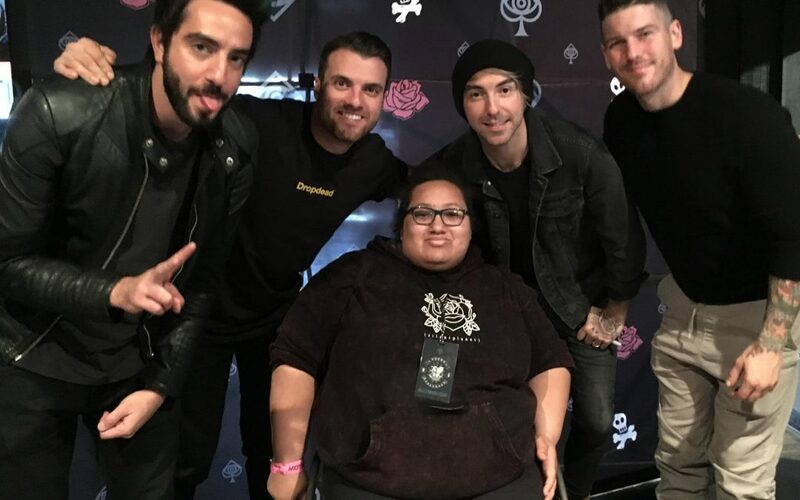 Concerts are meant to bring everyone together, but venues are continuing to be stagnant in their accessibility despite the Americans with Disabilities Act of 1990 being signed into law 28 years ago. We want to change that, and we hope you will join us as we add to the Half Access database, communicate with venues, and raise awareness. Let’s uncover the root of the problem and encourage venues to change the status quo and welcome everyone in the communities that they serve. In order to make these website dreams a reality, we have collaborated with designer Danica Hutchison. It has been extremely rewarding to see our vision come to life and to work with someone who understands our goals and mission, and who is as passionate as we are about equality in music. 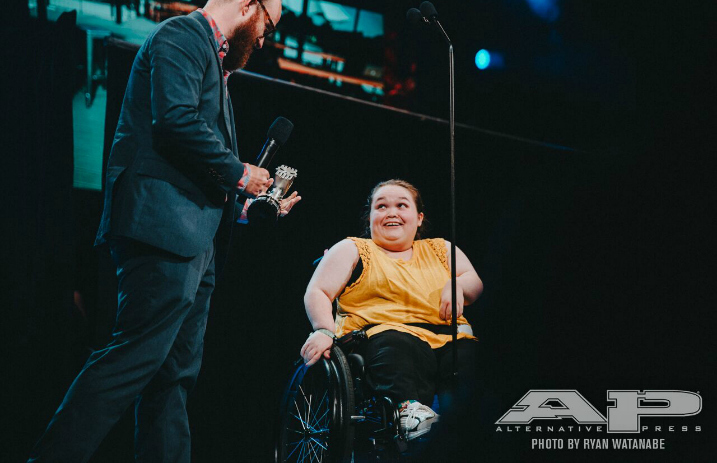 Half Access Founder, Cassie Wilson, and vocalist of The Wonder Years, Dan Campbell, at the 2017 APMAs. And, if our name already sounds familiar to you, it might be because our founder, Cassie Wilson, was the recipient of the 2017 Sub City Alternative Press Music Awards Grant. This website exists because of their generosity, and we deeply appreciate their support. Thank you to Danica, Sub City, Hopeless Records, Alternative Press, Friends of Noise, Katelyn Almeda, Big Picture Media, and everyone who has supported Half Access thus far. You can now visit HalfAccess.org to search for your favorite venues in the database and see if they are accessible. If they don’t exist, add your own review. Sign up for our monthly newsletter below to receive updates about our progress and learn how you can help.